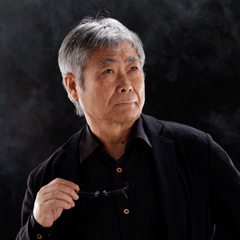 Architect, Product Designer / Born in Nagoya, Japan in 1937. Completed doctoral courses at Waseda University’s Graduate School of Architecture. Established Kurokawa Masayuki Architect Studio (http://www.k-system.net/) in 1967. Received major prizes and awards, such as Mainichi Design Award, IF prize in Germany, and the good design award. Several of his works are displayed in the permanent design collection of the Museum of Modern Art in New York, in the Denver Art Museum, and Metropolitan Museum of Art. Established Butsugaku Research Institute (http://www.k-system.net/butsugaku/) in 1998. Established Designtope Co. Ltd. (http://www.designtope.net/) in 2001. Established K Corporration (http://www.k-shop.net/) in 2007. “Eight Japanese senses of beauty” (Kodansha).